Member of the Gaddipally BCM church, Manemma found herself a widow in late 2015 when her husband died unexpectedly of a heart attack. How was she to raise, house, feed and educate her two small sons on her own? 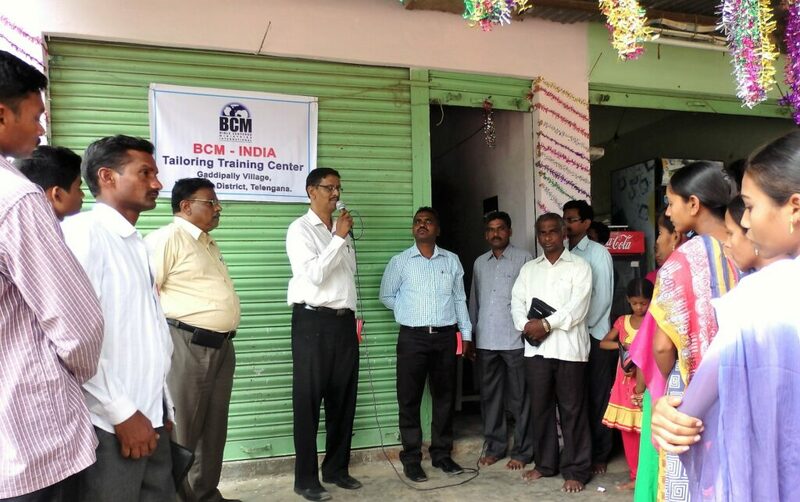 Enter BCM India’s Tailoring Training Centre and the gift of a sewing machine. Today Manemma runs her own small business that allows her to be completely self-supporting in providing for her family. TTC was inaugurated in Gaddipally, a village about two hundred kilometers from Hyderabad, where BCM India headquarters is located, in June, 2015, as part of BCM India’s Socio-Economic Development Program. Its objective is to train poor and needy women in tailoring skills so that they can earn their own livelihood. The centre began in a rented building, but was later shifted to the BCM church property in Gaddipally. The entire training program lasts five months. Under the tutelage of Mrs. Sandhya, the wife of BCM pastor Immanuel, women learn tailoring skills such as cutting, stitching, designing, pico finish work for saris, embroidery, and more. The trainees come from a number of nearby villages besides Gaddipally, including Lingala, Marrikunta, Agraharam, and Penugodu. While some like Manemma are Christian women needing to support their families, others are unchurched. Along with new skills, they are also experiencing the love of Jesus as Mrs. Sandhya shares the gospel with all the trainees. Over the last two years, five groups totaling sixty-two women have been trained through the Tailoring Training Centre. By the end of the program, each woman has the necessary skills to start their own tailoring business with the single start-up cost of purchasing a used or new sewing machine. Manemma is just one of many graduates now earning an average of 3000-4000 rupees ($50-60USD) a month, a good wage for that region. Then there are other single young women like Kavisrileka, who has used her TTC training to further her education, attending college classes in the morning and sewing clothing in the afternoon to pay for living expenses and tuition. God is continuing to do great things through the TTC socio-economic development project as unemployed rural women in and around Gaddipally village are not only acquiring the necessary skills to become self-supporting, but experiencing God’s love in their lives. TTC participants express their thanks and gratitude to the pastor of the BCM church in Gaddipally, Rev. Immanuel, and his wife Sandhya, for the couple’s commitment and dedication in showing God’s love and compassion through this program. Also to BCM India regional supervisor Rev. A. Benjamin and coordinator Rev. S. Isaac for the implementation and supervision of the project. 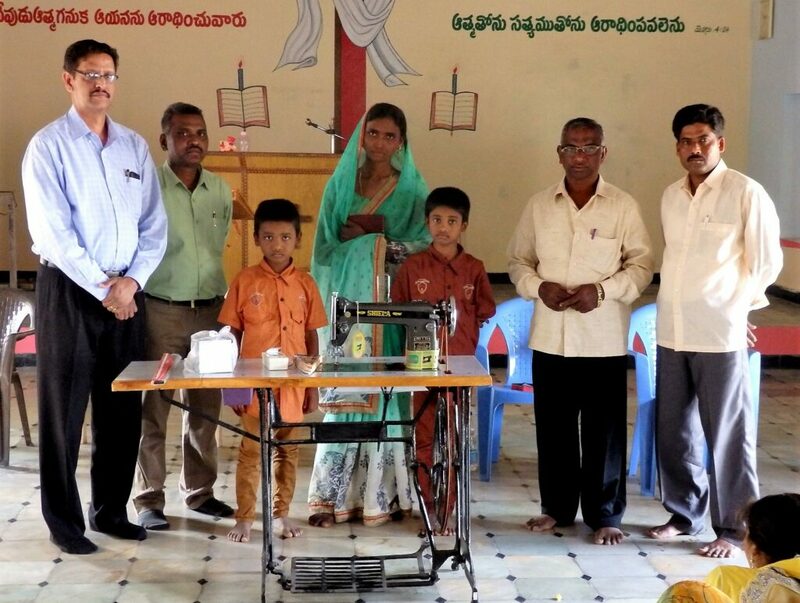 And a special thanks to Professor Jayakar Dalavai, who sponsored the TTC project and donated sewing machines for the training center as well as Manemma and her family.